Wow, it’s summer finally. I have a house-guest and am traveling around home places this week, and at work on copyedits on The Love We Share Without Knowing. On Sunday, my guest returns to the fabled land of New York City, and summer will be in full bloom. What will I do with all the time summer always brings with it? It’s the season that always reminds me of childhood the most, the long stretch of a hot day, how to fill it? For me, I aim to be writing heaps this summer, every day if possible, at least a little something, and perhaps, just maybe, I’ll have the draft of my third novel done by autumn. Other than that, my other summer plans include lounging in the sun, swimming, bike riding round town, house restoring and festival-going. Maybe a side trip to visit friends in other states at some point. The long stretch is before us, looking endless, but I imagine this particular horizon will meet us quicker than I’d like. 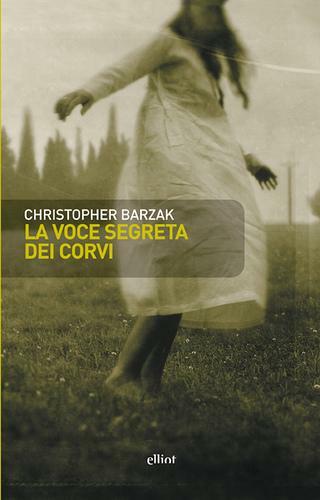 One for Sorrow debuts in Italy this month. Here’s the cover of the book there. And they’ve retitled it as The Secret Voice of Crows, since the title doesn’t translate well because of the rhyme from which it comes not being part of the culture there, I think. I like the new title as well. They’re comparing it to the film Donnie Darko, which I also like a whole lot. I hope my Italian readers like the book. I’ve had the most wonderful conversations via email with my publisher and translator in Italy over the past few months, and hope I have the chance to meet them one day. This book has felt like a non-stop birthday party. It’ll be over one day, but I’m still having fun until then. This video is from Logo, an MTV owned televison station programmed for the GLBT community. All I can say is that it’s about six minutes long, and you have to “wait for it” till about the last one or two minutes for the really interesting part. (The famous transexual Amanda Lepore is hilarious and weird, but the really interesting part comes late in this little clip). Watch it, then afterward go here and vote.